Exploring the history and legacy of Communism, 100 years after the Russian Revolution. On July 17, 1918, as the White Army advanced toward Red-held territory around Yekaterinburg in Siberia, 12 armed Bolsheviks ushered a group of 11 exiles into a basement of a merchant’s mansion once known as Ipatiev House, now the House of Special Purpose. The youngest in the party, a sickly 13-year-old named Aleksei, had to be carried by his father, who was known to his family as Nicky, and to me, subsequently, and millions of Soviet people as the “bloody tyrant” Nicholas II. The deposed czar was accompanied by his young daughters, Anastasia, Maria, Tatyana and Olga; his wife, Alexandra; and their attendants. The man in charge of the soldiers, Yakov Yurovsky, read quickly off a sheet of paper: “The revolution is dying and you must die with it.” Then the night erupted in gunshots. This was neither the end, nor the beginning, of the desperate plight of the Romanovs, the dynasty that had ruled Russia for over 300 years. A few weeks earlier, the czar’s brother, Michael, in whose favor Nicholas had abdicated in March 1917, was shot in another Siberian wood. The day after, Nicky’s sister-in-law, Elizabeth, an abbess; his cousin Sergei; and his nephews Ivan, Constantine, Vladimir and Igor were beaten and thrown down a half-flooded mine shaft in Alapayevsk, near Yekaterinburg. From the bottom of the shaft, some 60 feet down, those who survived the fall unnerved their Bolshevik guards by singing Orthodox prayers, until the soldiers tossed grenades after them. But autopsies later revealed that some of the Romanovs had taken days to die. It is estimated that by 1920, of the 53 Romanovs living at the time of the Bolsheviks’ seizure of power in October 1917, only 35 remained alive. Those who could fled Russia by whatever means possible, on foot and by boat. About a dozen Romanovs, including Nicholas’s mother, Maria Feodorovna; his sister Xenia; and her husband, Alexandr, were evacuated from their Crimean estate by warships sent by their royal relative, George V of England. In Europe, they joined thousands of Russian émigrés driven out of their land by the Bolshevik terror. Stateless, largely destitute and shellshocked, the Romanovs had to learn to live without the country whose stewardship had been their duty for three centuries — and mourn those left behind. That the survivors could not bury their dead made their situation harder to bear. Of all the murdered Romanovs, only one had been interred — Nicholas’s cousin Dimitry, his corpse rescued from the mass grave by his former adjutant and buried in the yard of a private house. The bodies of those executed in Alapayevsk, though retrieved by royalist forces from the mine pit, were moved farther east, hostages of the changing fortunes of the retreating Whites. Those remains ended up in the Russian cemetery in Beijing, which was demolished in 1957. A layer of asphalt now covers their graves. The bodies of the imperial family could not be found, despite an intensive search carried out by a criminal investigator named Nikolai Sokolov during the White Army’s brief occupation of Yekaterinburg. According to one persistent rumor, never substantiated, the heads of Czar Nicholas and his empress could not be found because they had been delivered to Lenin as proof of the Romanovs’ eradication. To her last breath, the czar’s mother waited for a letter from “her unfortunate Nicky,” refusing to believe newspaper accounts of his death. Shortly after his arrival in Paris in 1920, Sokolov, by then also an exile in Europe, tried to hand over to the Romanovs a box containing what he said was evidence he’d managed to assemble from Ganina Yama, another mine pit north of Yekaterinburg, where the bodies of the imperial family had allegedly been destroyed. The Romanovs did not accept the offer. The lack of proof worked in the Bolsheviks’ favor. With their grip on power solidified, they were keen to distance themselves from the bloodshed on the very foundations of the state they were building. By the 1940s, books that referred to “acts of revolutionary justice” against the Romanovs were taken out of circulation. The personal account of the czar’s executioner, Yurovsky, which had until then been proudly displayed in Moscow’s Museum of the Revolution, also disappeared. One similarity between history and crime is that somewhere, someone is always digging for truth. It is not clear exactly what drove Geli Ryabov, a filmmaker with the Soviet Ministry of Internal Affairs, to begin his search, with the help of a local geologist, Aleksandr Avdonin, for the body of the murdered czar in a place known as Pig’s Meadow, a few miles from Ganina Yama. Nor do we know why his boss, the interior minister Nikolai Shchelokov, who happened to be the Soviet leader Leonid Brezhnev’s close associate, allegedly supported Ryabov. However it came about, in 1979 Ryabov delivered three bullet-riddled, sulfur-doused skulls to Moscow. There, he tried to persuade Orthodox priests to help bury what he believed to be the remains of Czar Nicholas’s family, transported to Pig’s Meadow by their executioners from Ganina Yama after the villagers had discovered the original site. When the church authorities refused, fearing repercussions from the officially atheist state, Ryabov and Avdonin returned their find to Pig’s Meadow, carved a line from the gospel on a makeshift cross and waited for better times. In 1989, the Russian playwright Edvard Radzinsky published a bombshell article based on the declassified memoir of Yurovsky detailing the execution. The country shuddered. In July 1991, six months before the final dissolution of the Soviet Union, a commission appointed by President Boris Yeltsin to investigate the murders exhumed the remains of nine bodies from Pig’s Meadow. The ensuing seven years of archival research and forensic analysis by Russian and international experts, including DNA collection and genetic testing of Romanov descendants, confirmed that the remains belonged to the family of the czar and its attendants. Eight decades after the killings, nine small coffins with imperial insignia were flown to the “cradle of the revolution,” which by then had regained its original name, St. Petersburg. Among the 50 or so Romanovs who arrived from all over the world to bury their dead relatives was one who happens to be my American neighbor, Alexei Andreivich, the great-grandson of Xenia and Sandro, who had escaped Crimea aboard a British warship. From Alexei, I’ve learned how all those Romanov uncles, nieces and nephews scattered by the revolution suddenly recognized one another in the hallways of the Astoria hotel in St. Petersburg. That day, in a televised address from the Peter and Paul Cathedral, President Yeltsin called the nation to atone for its “collective guilt.” Alexei told me what it meant to him and his relatives to see the last flag-draped coffin lowered into the family crypt there. One noticeable absence at the 1998 funeral, though, was the leadership of the Russian Orthodox Church. Deacons, not bishops, recited the prayers for the dead. The reason for the church’s keeping its distance was doubt about the authenticity of the remains. For the same reason, Maria Romanova, a great-great-granddaughter of Czar Alexander II, now a resident of Spain, also stayed away. 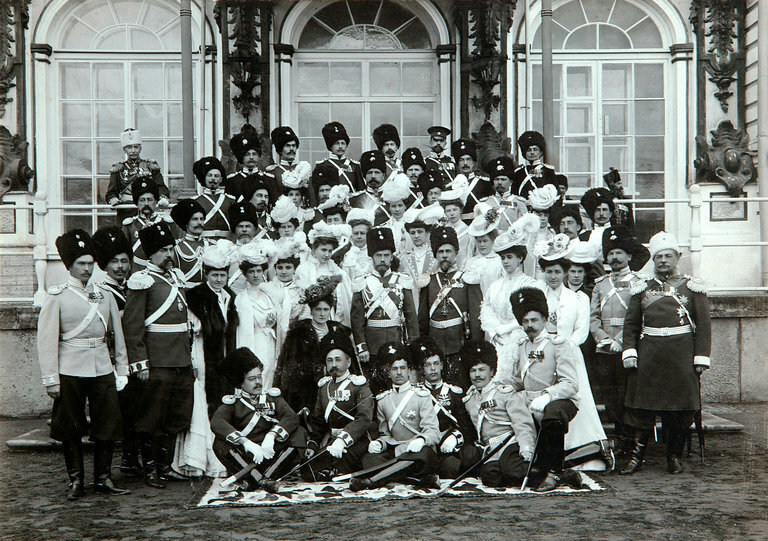 Her claim to leadership of the “Russian Imperial House” is disputed by many members of the Romanov family. Among the reasons for the church’s skepticism was the apparent discrepancy in where the remains were found: The 1918 Sokolov investigation named the shafts at Ganina Yama as their resting place, yet the bodies finally reinterred were recovered from the Pig’s Meadow site. In addition, only nine bodies were found, while the number of those executed was 11. The authenticity of the Yurovsky’s account was also questioned. Most Russian and foreign experts directly involved in the matter viewed those doubts as tangential. Boris Nemtsov, the chairman of the Romanov commission during its final stages, persuaded the church not to interfere with the funeral. In 2001, the church built a monastery at Ganina Yama, not at Pig’s Meadow. The controversy did not end there. In 2007, an American group named S.E.A.R.C.H, founded by émigré heirs to the Sokolov investigation, discovered two bodies in another pit at Pig’s Meadow. Despite overwhelming forensic and DNA evidence, the church refused to recognize these remains as belonging to Nicholas’s children Aleksei and Maria. For several years, the boxes containing “ash mass” and a few bone fragments — all that remained of the children — gathered dust on a shelf in the Russian state archives. In 2015, under increasing pressure from the Romanov family, another commission, this time created by Russia’s prime minister, Dmitri Medvedev, finally ruled those remains authentic. But the funeral, scheduled for October, did not happen. Instead, the remains were handed over to the church “for additional testing.” Neither the nature of the tests nor any deadline for their completion has been disclosed. Addressing the church leadership in 2016, the Russian Orthodox leader, Patriarch Kirill, reaffirmed the church’s doubts about the Yeltsin-Nemtsov commission’s conduct, and praised President Vladimir Putin’s decision to launch a new “full-scale” investigation. The Romanov family, largely kept in the dark, is back to waiting for word from Russia. Time does not stand still. Gone is Geli Ryabov. Gone are several Romanov elders. Nemtsov himself was assassinated in Moscow in 2015. Long subject to conspiracy theories, despite the painstakingly researched facts of the matter, this bloodstained episode of Russian history has still not been laid to rest. A century after the Russian Revolution, Czar Nicholas’s son and daughter remain unburied — even as the embalmed body of the Romanovs’ chief antagonist, Lenin, continues to attract visitors in the capital. History sometimes has a twisted sense of humor. Anastasia Edel (@AEdelWriter) is the author of “Russia: Putin’s Playground,” a historical and cultural guide to contemporary Russia.